There is some months ago now, I was offered an ODROID N1 by Hardkernel for a debug party. Being short in time, I could not publish something earlier. But here it is, I used this SBC as a NAS to replace my Banana PI based solution. The ODROID N1, is a lot more powerfull and I plan to use it for more than NAS activities in the future (I think about a custom docker registry and an ELK server). For now, let’s focus on what I use it for now : a very good NAS ! 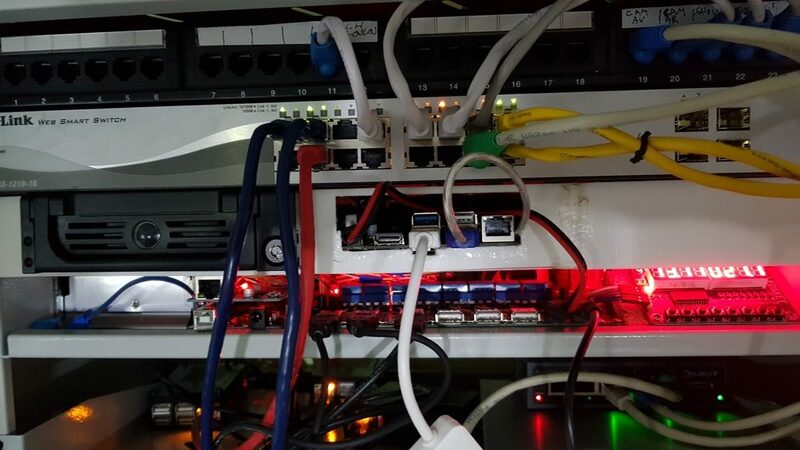 I put all my servers (and my smartpower) in a 19″ cabinet. This NAS makes no exception. 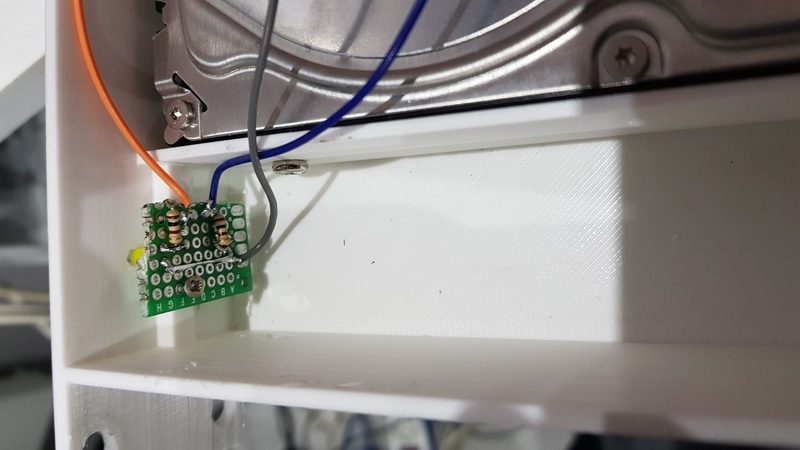 To do so, I created a custom enclosure for the Odroid N1. 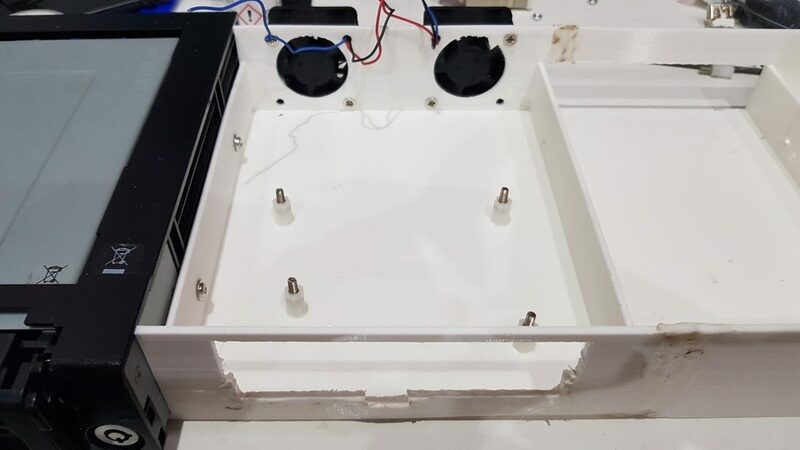 Files can be found on Thingiverse. I printed it in three parts so it fitted my 20x20x20 printer. However, the original Freecad source file is available. The board being a “test model” it has some issues. 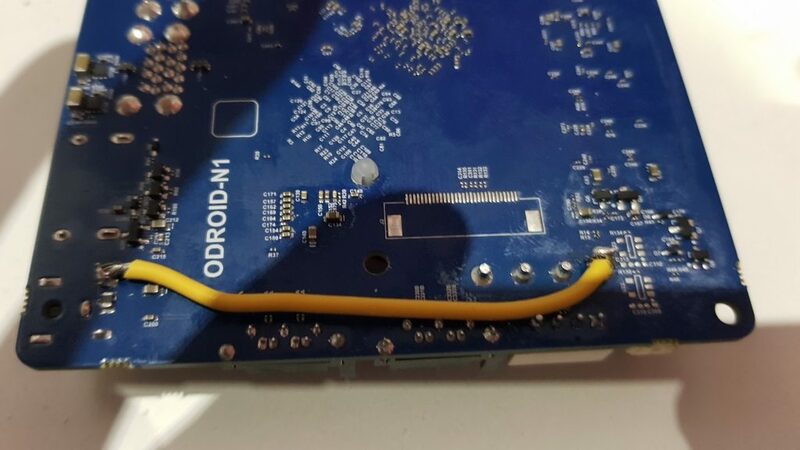 Onw is missing 12V output on the onboard molex connector. 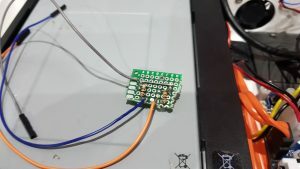 As I had two 3.5″ HDD to power, I did a little modification on the board, like someone else documented it on the official forum. I wanted to have some emmc and heartbeat monitoring. I just made a small board with two leds and resistors. 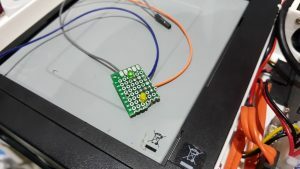 I wired them to the Odroid N1 GPIO and modified the kernel device tree mapping. Important : gpio number can be found in file include/dt-bindings/pinctrl/rk.h. In my case, GPIO 45 and 50 are named GPIO1_B.5 and GPIO1_C.2, so the corresponding numbers for the devicetree are GPIO1_B5 and GPIO1_C2 in the file rk.h. 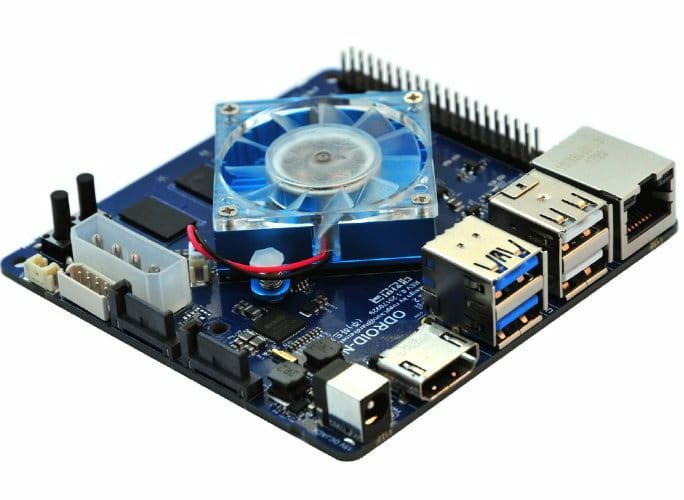 I received the Odroid N1 with a 16GB emmc module containing a Debian Linux. Being a fan of Archlinux I replaced the installed OS. 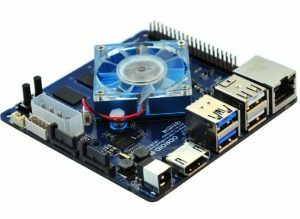 The is no official support form Archlinuxarm, but the Odroid N1 uses the same SOC than the supported ChromeBook (RK3399). So the main steps was to keep the kernel and modules and replace the root file system with archlinuxarm’s 64 bits root file-system archive. After reboot was successful, it was time to build a new kernel. I’m not going to copy paste all my states and templates here, as it obviously depends on personnal needs and tastes. The purpose of theses benchmarks was to see what the Odroid N1 had to offer. I also used them to tune up and adapt my configuration. Benchmarking is a quite complex task and I don’t claim that I did it 100% correctly ! Setting readahead to 1024 provided a small enhancement (read). Setting “pcie_aspm” to “performance” gave also another small enhancement while writing. I initially planned to connect the SSD thought USB3. The following tests changed my mind, and I finally connected the SSD throught the native SATA port and the mirrored HDD to USB3. I used the same test protocols than previously with the HDD. sysctl -w net.ipv4.tcp_rmem="8192 873800 8738000"
sysctl -w net.ipv4.tcp_wmem="4096 655360 6553600"